Artist Jorge Lacera was born in Colombia, and grew up in Miami, Florida, drawing in sketchbooks, on napkins, on walls, and anywhere his parents would let him. After graduating with honors from Ringling College of Art and Design, Jorge worked as a visual development and concept artist for major gaming studios and entertainment companies. As a big fan of pop culture, comics, and zombie movies, Jorge rarely saw Latino kids as the heroes or leads. He is committed to changing that, especially now that he has a son. The family now lives in Cypress, Texas. Writer ​Megan Lacera grew up in the suburbs of Cleveland, Ohio, with a book always in her hands. She became a writer and creator of characters and worlds for entertainment companies like American Greetings, Hasbro, and Goldieblox and later formed her own creative company with husband Jorge Lacera. 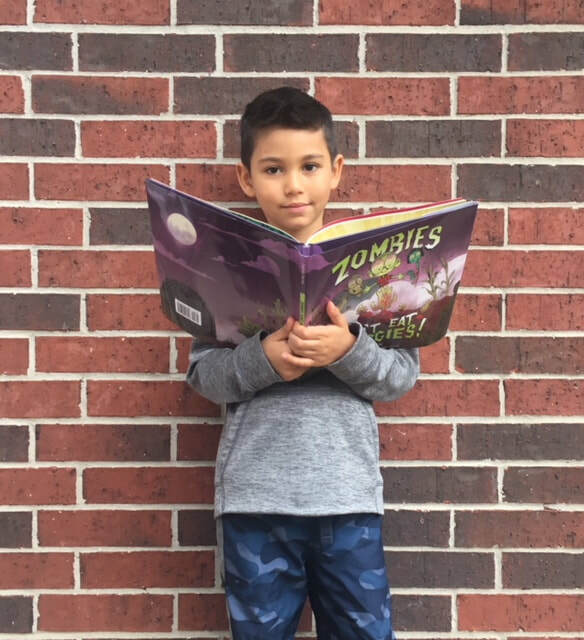 After reading many stories to their son, Megan realized that very few books reflected a family like theirs--multicultural, bilingual, funny, and imperfect. She decided to change that by writing her own stories. "Her vision, talent, and personality make working with her a complete joy! Megan has the rare ability to create deeply, captivating characters, worlds and stories that can inspire, shape and drive. She consistently surprises!" Kai Lacera six-year old Kai Lacera serves as Studio Lacera’s Chief of Research and Story Development. ​He has cultivated a powerful sense of character, plot, and visual complexity that rivals the world’s great storytellers. Kai claims that he has several super powers and that peanut butter is the most delicious food on the planet. Studio Lacera cannot validate or invalidate his claims at this time.